A smart home provides a way to interact with devices within the home. It can provide information about and control over those devices. It doesn’t all have to be installed from the outset but can be added to as time and your requirements change. 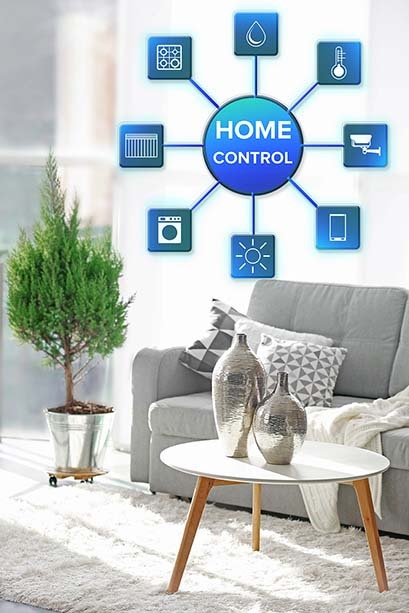 This allows you to add security systems, heating and lighting systems and control over audio visual equipment as you require by changing appliances and accessories with ‘smart’ versions of the same. We can help with choosing these devices and integrating them to help you get the most from your investment. So how do you choose which is going to work best for you ?